Cost: The required legal fee for marrying in a church. If you marry outside your own parish, it is £497 in 2017* and £456 if you marry in your home parish (providing you both live there). This is set by the Church of England nationally and is the same for every church. Most Church of England marriages will require banns to be published before the wedding can take place. You won’t need to arrange banns until about four months before your wedding date. Read more about what’s special and important about banns. If there is not enough notice given for the banns to be read before the marriage is due to take place, or in the case of the marriage of people who are not nationals of a country within the European Economic Area, or if one or both of you does not live in England or Wales, it is recommended that the Licence procedure be used rather than banns. There are some circumstances in which you may need a Special Licence, Common Licence or a Superintendent Registrar’s Certificate to marry in church. Your vicar will let you know if these apply to you. 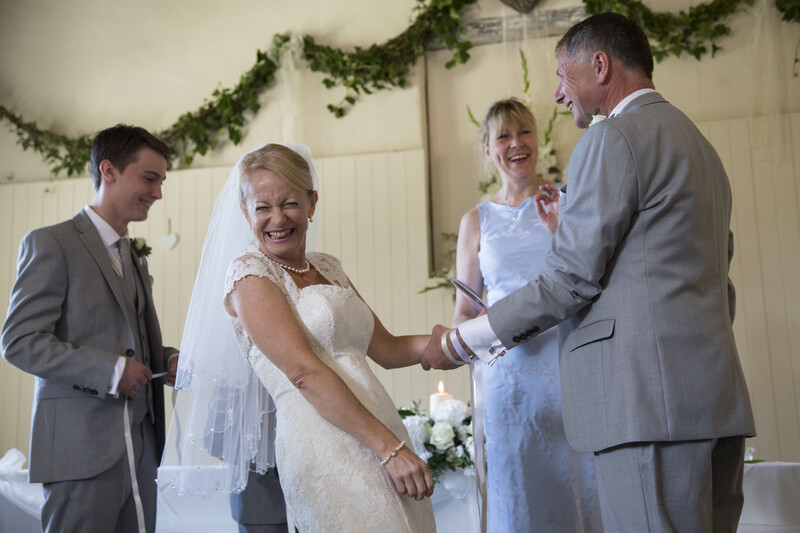 Approved premises is a venue where you are legally allowed to get married, the local registrar will come out to your choose venue and conduct the service, which can be tailored to you and yours. Requirements: Like the approved premises you’ll have to give notice and pay a Booking fee £45 (non-refundable) as well £35 each for giving notice. A celebrant is someone will is able to conduct a more personified ceremony/blessing, In parts of the UK certain religious ceremonies are not legal but that doesn’t mean you can’t have the celebration you’d like, they cater to handfastings (although you would also be able to opt for a pagan priest) unity candle ceremony and many other symbolisms that work for your big day. Requirements: You will have to go to your local registrar and do the legal bit. But after that you and your future spouse can have a blessing pretty much anywhere you wish with permissions from landowners and venues of course. Or of course if none of those things tickle your fancy and you’re thinking of a far flung wedding, the world is your oyster. Huge congratulations!!! It’s such a wonderful feeling isn’t? emotions all over the place feeling like you’re in one big loved up bubble? I still get all warm and fuzzy thinking back to the morning when my Mr proposed to me, it was so lovely. That’s been almost two years now and I’m very much in the throes of planning. If you were to read my post about tips for the “Newly Engaged” it’s one written by someone who was just perched on the top of something so much bigger. Then: Well for starters set up a wedding only email, this is sooooo handy as when you start messaging companies/venues and all the other vendors it’s great to have them all in one place not getting lost or forgotten. Now: Yes! Do this! You will want somewhere safe to put all the communications with suppliers and venues, Its so handy. If you don’t want to do that then make a folder in your current email, it saves so much time when you need to pull out a price list or re-print an invoice. Then: The budget, this is an important one, everyone loves a wedding and wants it to be memorable but don’t go into a marriage with debt. And this is where the email comes in handy, for all those quotes you’ll be after. Now: Still just as important, but this can be hard to do if you don’t know the cost of things. For example, Venues vary a lot in price depending on what you want and what you can afford, I’ve typed this topic out and deleted it again just trying to think of the best and quickest examples to give you, so you have an idea of costs. Yes you can do a wedding for under £5000 you will have to shop around but it’s doable. Hotels such as Ryde Castle and Lakeside offer good deals on wedding packages, Ryde Castle starts at £999* and Lakeside around £3750*… I’d say the biggest costs would be the venue and photographer, with photographer’s prices between £700 and £2000, you can find cheaper but do your homework. Social media really is your best friend, you will find the same names suggested time and time again there is a very good reason for this. Venues and photographers are the two things I booked as soon as I could. The good ones go quickly. Then: A drafting of the guest list, while your wedding may be a while off, when we did this ourselves it became clear that we need a venue to hold a biggish amount, so no dreams dashed once walking around and finding out that venue only holds x amount. Now: This will change so much other the course of your engagement but it’s still a really good thing to do, places to tend to have a max capacity for the ceremony but the reception more are allowed. There are a few venues on the island that only hold around 50 so it’s helpful to have rough numbers as it saves you looking at smaller venues. 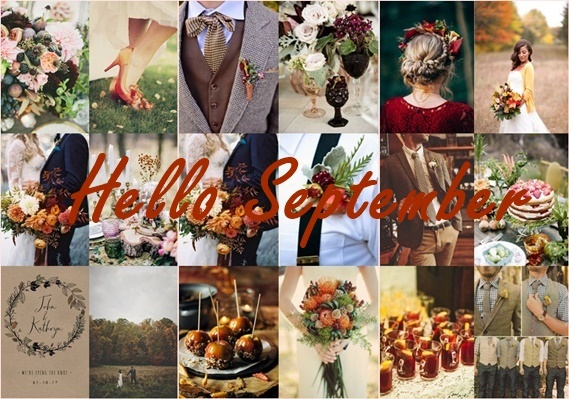 Then: Picking a date, working out what month you want to wed will be handy as to when you really need to get on the ball with picking a venue, these and photographers tend to booked up well in advance especially for those summer months! – June July and August. Also, prices go up a smidge more for peak times. So, put that as a factor in your budget. Now: I still suggest this one as well nothing add. Apart from if you know you want certain place or person book it as soon as you can. Then: Always be on the same page. I’ve always believed that it’s the groom’s day as much as the bride. So when it comes to hosting one of the biggest events of your lives, be sure that its full of you both. Now: My Mr has been super helpful, he’s been a part of the whole planning process. What I’ve loved most is all thesemonths he’s listened to me waffle on and then in those moments when we’re talking with a supplier he’ll mention something I’ve said and has had his own input on things, after all its our day so he can add and take as many things as I do. Have fun!! Enjoy this and all the best with planning!! It feels just like yesterday I was doing the same post about trends for 2016! How quickly a year passes! So happy new year, I truly hope this year is filled with more laughter, more smiles and lots of happiness! Colours: Pantone have named their 2017 colour “Greenery” as colour of choice. And it’s already made its way into the trends of 2017. Themes: This year seems to be about the world around us. Foliage in all its glory, be that woodland or tropical, marble and watercolours seem to be firm favourites. Décor: There are some “here to stay” items such as jars, burlap and hessian that rustic look has a firm footing for weddings. Something a little different and that’s industrial style, so think cooper colour vases, venues with bare walls and simply decorated with globe/cadged string lights, metal candle holders, folding wooden chairs and even the use of little concrete items, such as plants holders. 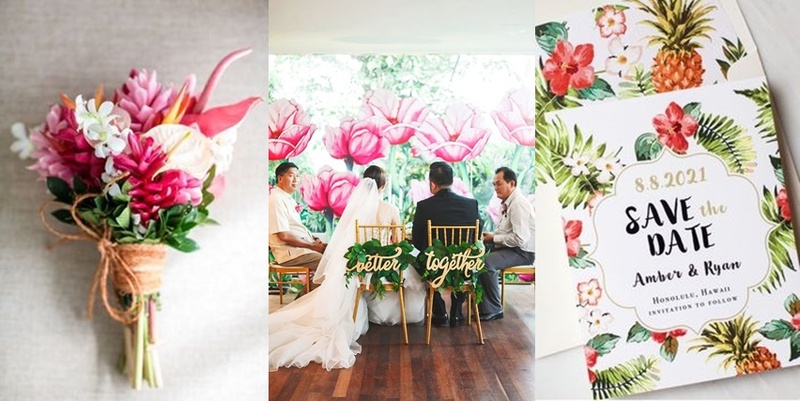 Flowers: It looks as though just having greenery is going to be the bouquet choice, it may seem a little lacking in the colour department but you can have a fab arrangement of different greens and the use of textures such as succulents, herbs, palms and grasses do a make a stunning combination, but also cascading bouquets look set to make a comeback. Treats: Out goes (it would look like) the sweet buffets and in are cake tables, one big wedding cake isn’t quite enough these days, growing in popularity is having multiple cakes… more cake in my eyes is most welcome. Doughnuts! I saw plenty of these last year as go to options, they come in so many flavours, styles and toppings I think they are a great choice! The last few years naked cakes have been widely popular, but i think this next trend will become very popular, made hot by Anges de sucres these drippy cakes can be done any whichway you want! nothing is off limits, anything you like! Have a sweet that does it for you why not have that for decoration? Like macaroons have those adorn the side, heck even have popcorn or biscuits… I could go on and on, but go and have a browse on Pinterest and you’ll see something that you’ll like!. But of course, whatever your style, interest or likes bring that into your big day! I’ve said yes to the dress!!! 50 weeks till W.day and I’ve got the dress!! I actually thought this would have been a quicker process, having the group and page for isle of wight brides I’ve seen many many dresses and I thought that when it was my turn I’d bag a dress and be on my merry way. Well 3 wedding shops and multiple dresses later I was starting to think I’d never find one, that all changed this past week, Gems Bridal posted a few new sale dresses – I’ve said from the get go I didn’t want to spend a fortune on a dress, so when one of them caught my eye Wednesday I got in contact straight away made an appointment for Saturday and waited till I could go and try it on. We showed up and the girls were lovely they brought out the dress I had seen but also encouraged me to pick a few others as well, I’m glad I did as it cemented that the one I had seen was the dress, as it slipped over and fitted into place I had that “yes, this is it” moment, the other dresses were truly stunning but I had found mine, I keep looking back at my little snap shot and I still can’t quite believe that I will be saying I do in under a year! 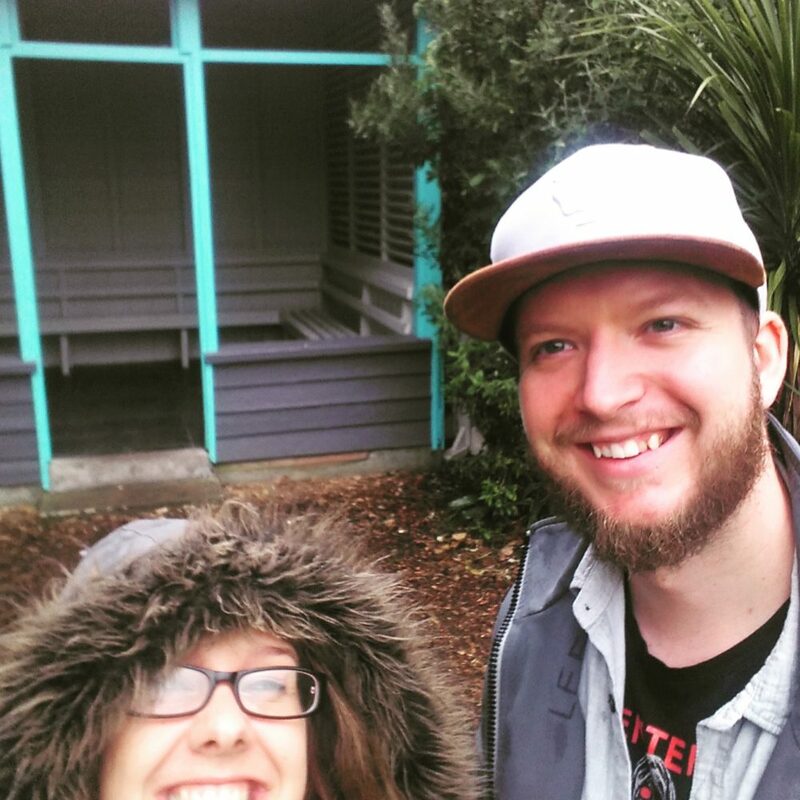 We also went and had a nose around our venue, it was wet windy and very grey! but also quite romantic at the same time. The gardens were very quiet, who wants to wander around in cold and wet…. well we did, I fall in love with this place a little more everytime we visit. Although the weather merisble the plants and flowers were beautiful. We took a few snaps and like my dress i keep looking and that flutter of excitment rises everytime, i’m like a child waiting for father christmas. i’m loving it! Autumn/winter starts giving way to what trends will be making their way into the new year and it’s also when the wedding fayres start up again, Myself and the Mr will be going to along to a few more of these as things get closer. Also on our to do list is to pop over the our venue, it means we can see what the light is like, what is in bloom – getting married at the botanical gardens means seasonal beauties and we don’t want to miss out on any fab images, October will see us giving notice which again makes everything feel more real, I plan to go and have a test run with our florist, it’s a perfect chance gage what will be in season and what you’ll be able to have. These next few months I think the blog will become abit more active as it’ll see me go into full on planning mode. I can’t wait to share little titbits with you, it’s going to be one hell of a year!!! This is the latest area of planning I’m going through. I’m not in any way a DIY’er but this past weekend I’ve been firing off ideas to a friend to see if she can help me create! we’ll be adding a few more details to make them just so, and I’ll be sure to share what we come up with, once they’ve all been sent out of course! But it’s more fun than I first thought it would be. 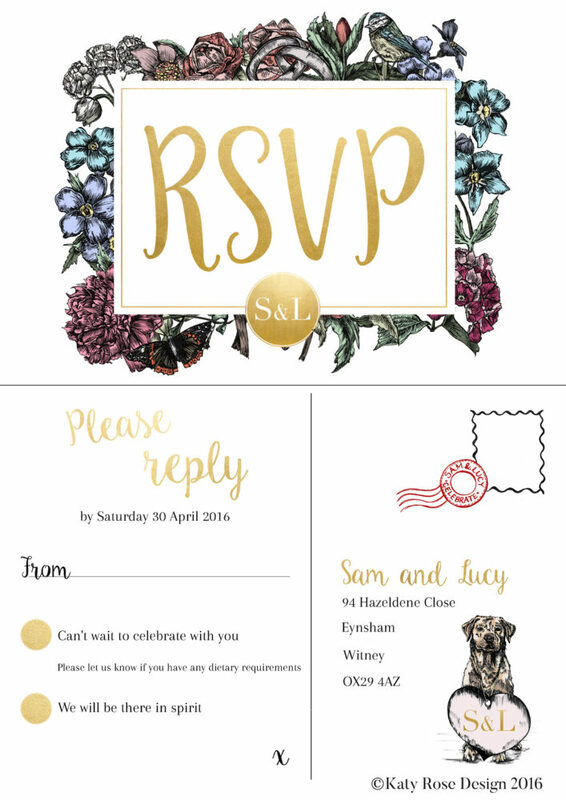 What do you need to think about when looking at invites and all the other bits that go with it? I’ve always said and thought, that an invite is the first little wedding something that guests get to see, most recently we got an invite which was fab, it had wellies, and bunting and set the tone that perhaps we should bring a tent to get into full festival mode it was great. So go for it, add those real personal touches and make them yours. So here’s little list to get you started! Just a little card to let people know the date of your wedding, I like them as it gives plenty of notice when it comes to booking time off work or if other arrangements need to be made, especially if you’ve got to travel further afield to get to the celebration. Has a host line – Together with their families. A nice turn of phrase to include immediate family from both sides. *Tip! Remember,You only need to send an invite per house hold!! The little response card to let the couple know If you can delightfully attend or regretfully can’t make it, it will also have space for dietary requirements, as well has having a “reply by date” It may not seem like you should rush this, but it’s a huge help for the couple to sort out final numbers, table planning and just makes life so much easier so don’t dilly dally! Now there’s normally an email to reply to or even a text response will be fine. A card to inform guests how to get to your venue, possibly letting them know of good accommodations to stay in and what the couple are asking for gifts wise. *Tip: Other stationary – Menus, thank you cards, placement cards and seating plan. This will have information for all to see and will detail the order of events of the day on the day, and will for example have the time of the wedding, when photos will be happening, food, speeches, cake cutting and so on, this can either be hand held or big enough to pop on an easel, which will be placed near the entrance of where guests arrive. 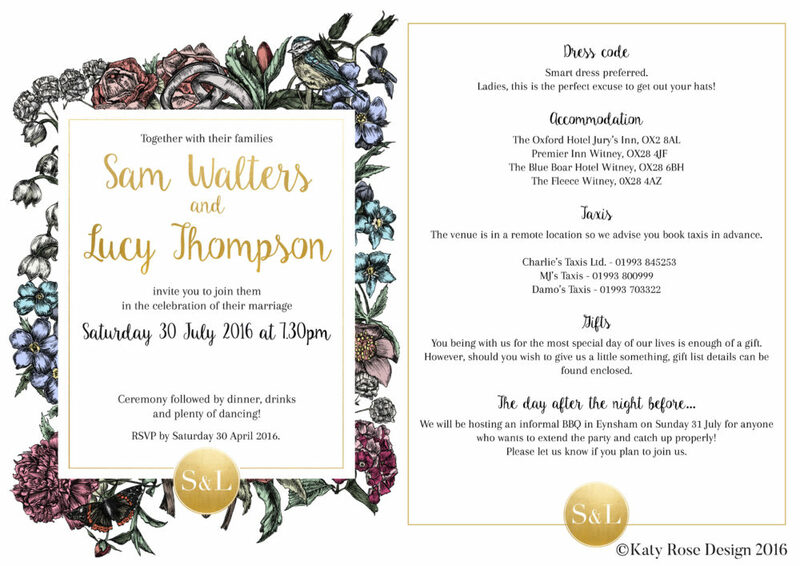 We’ve some fab talents on our Isle who can help you create the perfect invite for your wedding. 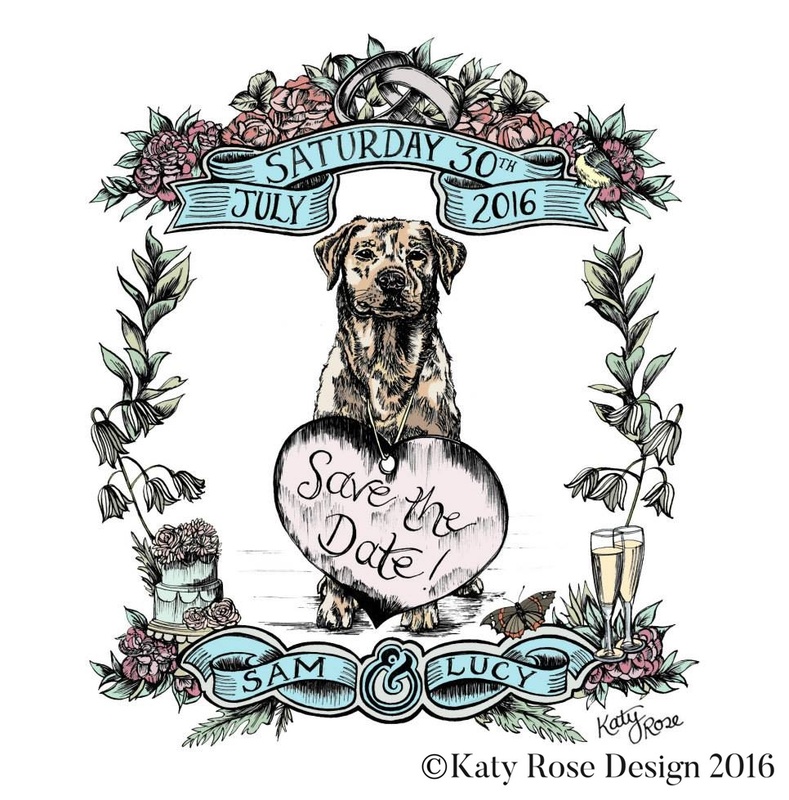 And i’m pleased to be able to have shared “Katy Rose Designs” images for todays post, please go check out her stuff! , You’ll find her working alongside The Events.co who offer a whole host of wedding accessories to help make your day something extra special. #Bridalmusings – A real bride’s advice. So when all is said and done what would your advice be to those brides in the middle of planning? So many worries go through my head that I take huge comfort from reading the newly wedded brides tips and advice. And I’m more than happy to share this with you…. So we got married Thursday and it was the best day of my life! Absolutely amazing! 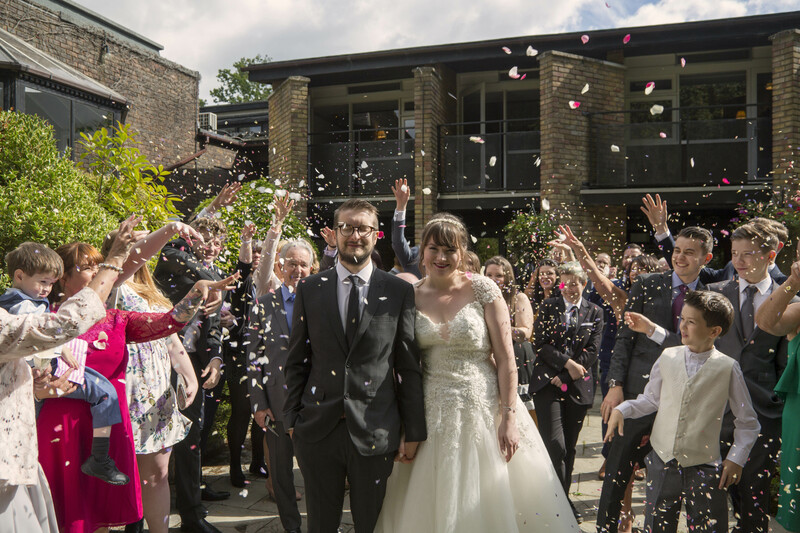 Can’t fault a single thing – the weather was lush, we got married outside and the whole day was simply perfect. But if I learned anything from being a bride that I can pass on to any brides to be, it would be this…. 2. Just let any issues go, anything that goes wrong, shrug it off and get yourself a drink and your dancing feet ready! 3. Be an idiot and have fun with your bridesmaids- the photos will be brilliant and the memories even better. Don’t be head struck on being glamorous and classy all day… give yourself some time the relax and be you and have lots of laughs! 4. Money – Don’t cancel anything before the big day based on money if you can help it, we nearly did and would have regretted it. You will find the money somehow and it’ll be worth every penny. 5. Don’t be frightened of having children as guests at your wedding, just have plenty of things to keep them occupied instead. We had over 20 kids at ours and so we made up a play area with toys, tents and lots of games, we had a magician who not only did tricks for the adults but put a show on for them too and even the adults loved it. The kids added to the fun of it all and at no point were they a nightmare. Good luck ladies and gents! Enjoy!! 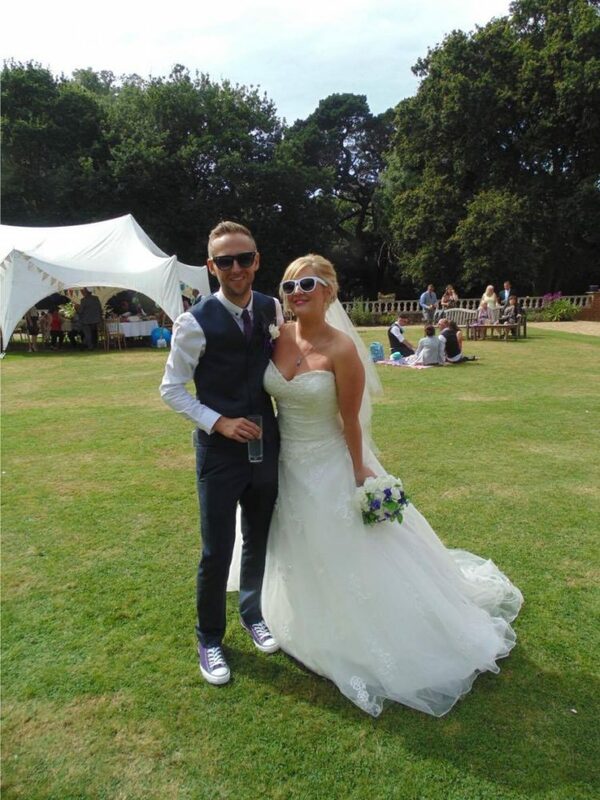 The lovely Mr and Mrs Groves! Bridal musings: How we chose our photographer. Picking a photographer can be super easy or a little like keeping your head afloat. The Island has some fab talent and it can be a little daunting on who to choose. So here is how I broke down that conundrum. Off the bat I said to Lee photography is up there on the wants list, so we agreed on how much we were willing to spend. Photography to me is super important and I wanted the right person to do the job, there are so many styles out there there’s edgy and raw, There’s candid and subtle, there’s formal and classic the list really does go on and those I’ve mentioned also tend to be a mixture also, I think we fall into the subtle and somewhat classic, we want images where the poses aren’t to forced I’m not the biggest fan of everyone standing in a line but that’s my personal preference so take my likes as just that “my likes” I love the photos where the only way it was captured was if the photographer was right next you, but you’re so in the moment and they just know how to sneak in and out again without being seen, I call these ninja photographers! So how did we decide? Well we drew up a list and spent hours looking over their works and sent email’s off asking for quotes (photographers tend to get booked quickly so get asking as soon as you can) and we then spent more hours looking over their Facebook pages, their websites and other areas of their social media, we looked over their reviews, these can set your mind at rest seeing what past couples have said – do your homework. We wanted a photographer who would make us all feel comfortable, but not in your face. It started to get clearer in what we wanted as we kept going back to the persons work and the fog started to lift and we became more confident with who we were going to go for. Once we got the quotations naturally some were removed and that’s totally fine, if they don’t fall into your budget that’s a ok that’s just how things go, doesn’t mean any less of the photographer you do go for – yes you can barter with a photographer and many can work to what you have in mind, but don’t feel bad about saying no and continuing the search, its about being truly comfortable and sticking with what you want to pay. So we were down to three…. And all prices were on par with one another but we just kept coming back to one, and you know what? they shared this image and I said to Lee that’s it, that’s out photographer, the image was simple it was classic and it was subtle everything that we wanted. He’s all booked in and deposit is paid! 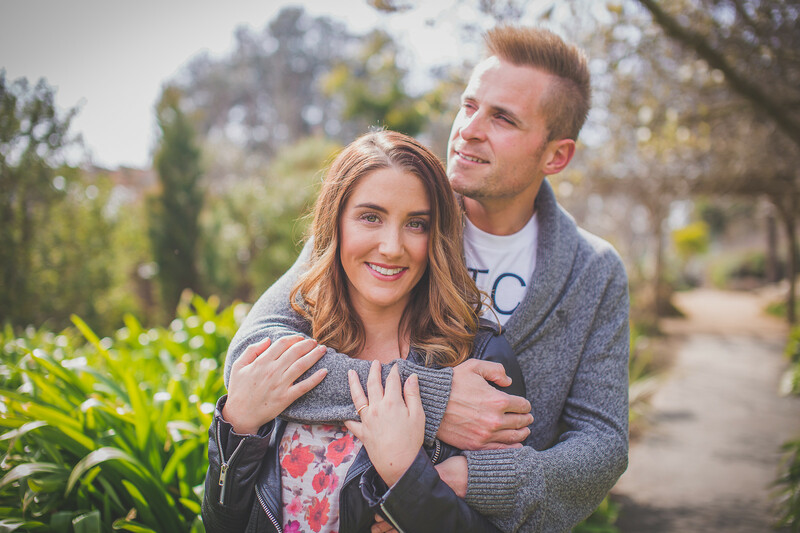 We’ll be meeting up soon to do our pre wedding shoot which should be fun! These shoots can help with breaking the ice. I talk more once we’ve done our and hopefully I’ll have that post for another day! Our photographer is the very talented Oscar May: the Occasion We can not wait! 1. Decide on a budget. 2. Draw up a list of possible photographers and who you thinks style works for you. 3. Get in contact ASAP – I can’t stress enough that its never to soon to get asking and booking. Find out if their costings work for you or not and if they are available for your chosen date. 4. Do your homework – chat with past brides, ask for full images not just the ones that made it online, others costs – travel, look over if food needs to be provided etc. 5.Experience is very helpful, someone who has a few weddings under their belt can help make the day run extra smoothly, but I will say this -don’t overlook the new photographers who are wanting to get there footing in the wedding industry just do your homework. there are some bargains to be had! On Saturday i hopped on a bus and made my way over to have a good old catch up with Karen Robb Of Dornellie – The Bridal Studio, recently she has set about offering a consultation service, and I got a taster of what you can expect. Now its not something you’d really think about having, there’s not much to trying on dresses – you just try them on right? … well not so much, not in my case anyway as a bride to be myself i have to say its not as simple as I thought, granted for those you who know what they want and they can pick and carry on, that’s great! for me I’ve had my struggles – body image being one of them, thinking I know what suits me hasn’t come as easy as i thought it would. so making my way into the Aladdin’s cave that is the studio where beautiful dresses hang, detailed veils and head pieces for all style and the room where all of the magic happens! Karen told me how she’d like to use her experience to help brides. Her passion is clear to see, she wants no bride to be disappointed in her dress, she wants to help as much as she can, and with the rise of cheap dresses sometimes you end up paying more to get it sorted, just recently I went to one discounted wedding branch and although I’m no dress maker I could tell they lacked quality something I don’t think you should ever scrimp on. 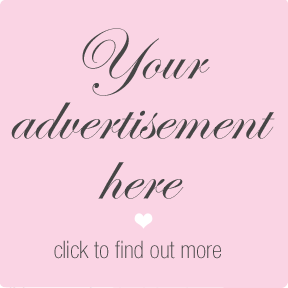 As a result of the numerous messages and responses to my advice on wedding dress shopping I will be launching new consultation appointments in July for a bride plus her one trusted friend/family member to come along and receive an hour and a half of advice, tips and a personal guide to buying the perfect wedding dress. I will cover all the things to avoid or embrace in any bridal boutique and give you a personal template of the style of dress best suited to you. I will also give suggestions on the best accessories and point you in the right direction for any other wedding day service you are looking for. Appointments will be limited and first come first served. 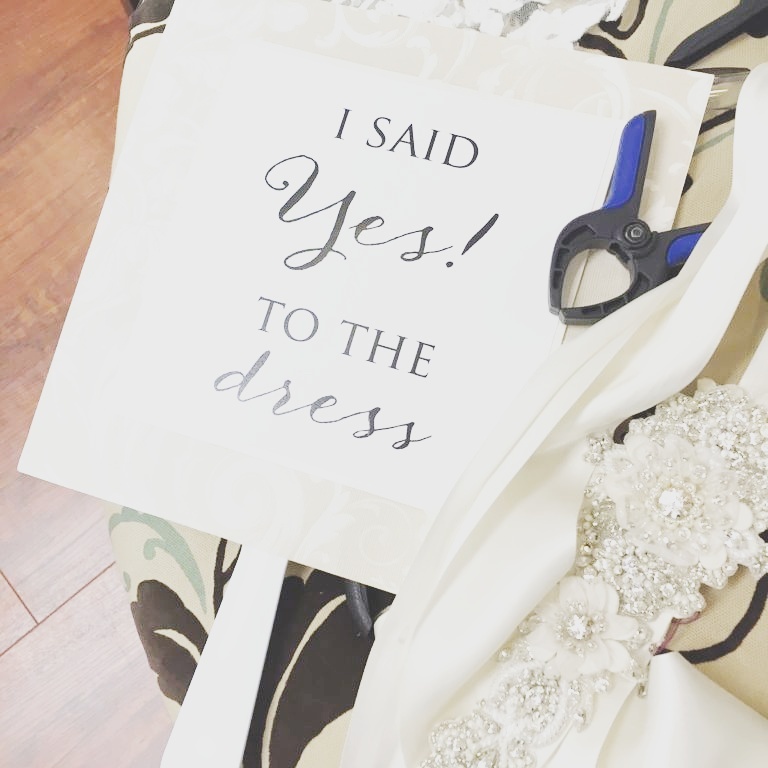 £30 to ensure you have the tools to make the perfect decision, enjoy your wedding dress shopping and hopefully not have any nightmare ‘wobbles’ about your dress. Any sales made will receive a discount of the £30 and I will be putting together a goody bag too with information and maybe a few surprises!! Please let me know if this is of interest and make your booking for July. Good luck to all brides shopping for that dream gown but please know I am here to help. And you know, it is worth it, I left there with more hope that I will the find dress for me. It’s overwhelming, but it need not to be. If you can I’d highly suggest you go for a chat! 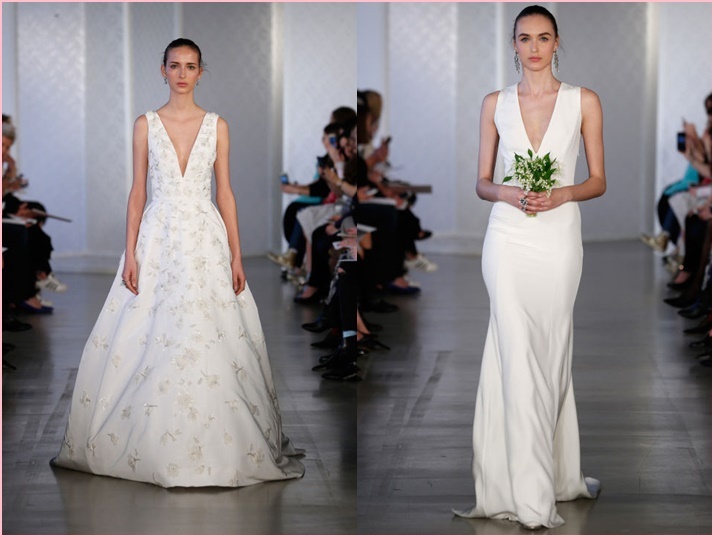 Some absolutely fabulous dresses seen on the catwalk for fall 2016 and spring 2017! 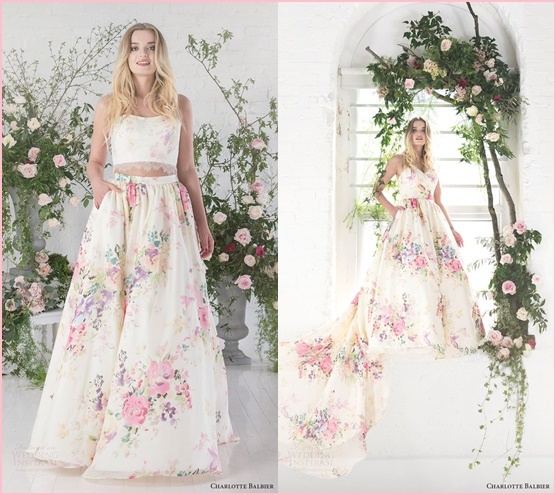 Florals were seen pretty much across the board with designers, shimmer and sparkle as always, a mixture of soft and dramatic cuts for the dresses. Separates looking set to be staying which is great. 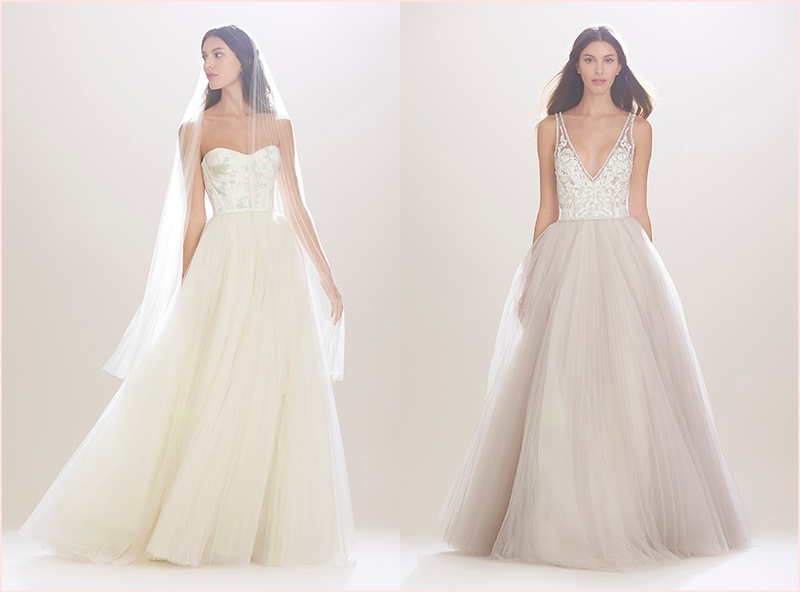 Using colour too seems to be a firm favourite Carolina, charlotte and Nikola all have dress with with blush tones. 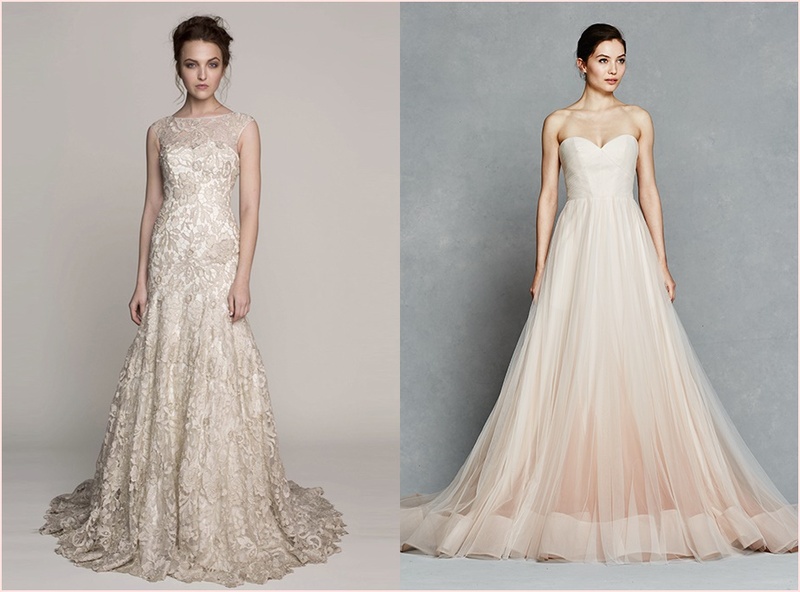 My favourite has to be the star gown by Jenny Packham! I know wonder how these gowns will trickle down into out local bridal stores. very excitingas a bride to be! !